Let’s start with a simple question – how many of you reading this post have visited the historic city of Bath, England? 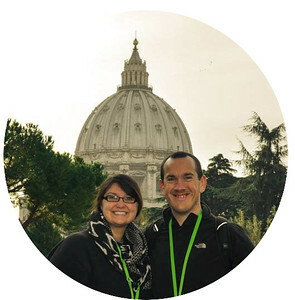 Chances are if you are from England you probably have visited this city at least once in your lifetime but if you are from anywhere else in the world, you may not have been as fortunate yet to experience this beautiful Roman city! Well, what are you waiting for? Don’t wait any longer! After reading this post, you will be itching to catch the next plane to London Heathrow and then hop on the M4 or the train across to Bath, England. I would like to share with you my 5 inspiring reasons to visit Bath. 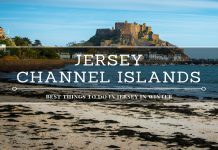 There are many, many more but after our last trip there I really feel obliged to share our experiences and inspire you to check out this amazing English city that probably fails to receive the attention it richly deserves. Ok, sorry folks but I had to start with the most obvious and probably what Bath is stereotypically famous for around the world – the Roman Baths! People that do visit Bath generally flock from around the world to experience the healing, relaxing waters found in these Roman Baths. You can bathe in the natural thermal waters that were discovered by the Celts and Romans over 2000 years ago. There are a variety of packages available dependent on how much pampering you really want. The Roman Baths building was voted the most romantic building throughout the UK in 2013 and combined with the Temple of Aqua Sulis Minerva, they are certainly among the finest ancient architectural designs/remains left throughout the country. For £66.00 per person, you can experience the Spas Ancient and Modern Special Package. I would highly recommend taking this option given that it includes a 2 hour thermal relaxation session in the baths, a full tour around the Roman Baths and a 3 course lunch or champagne tea (your preference) in the Pump Room. 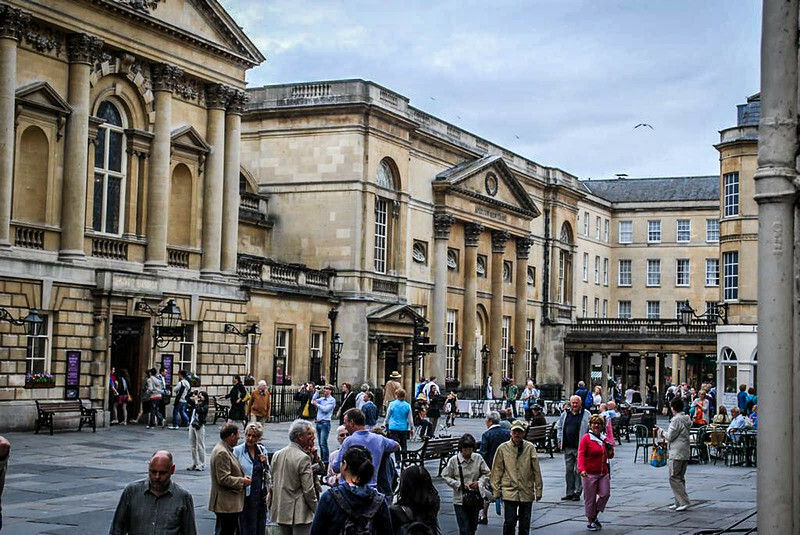 Even standing outside the entrance to the Roman Baths building, it’s relaxing to just sit and watch as people go about their daily lives passing through this iconic courtyard or consider heading into what many feel is a life-changing few moments of relaxation! Just like many other leading tourist locations around England, Bath is a great city to just get out and walk around both inside the city limits and also outside in the nearby rural countryside. 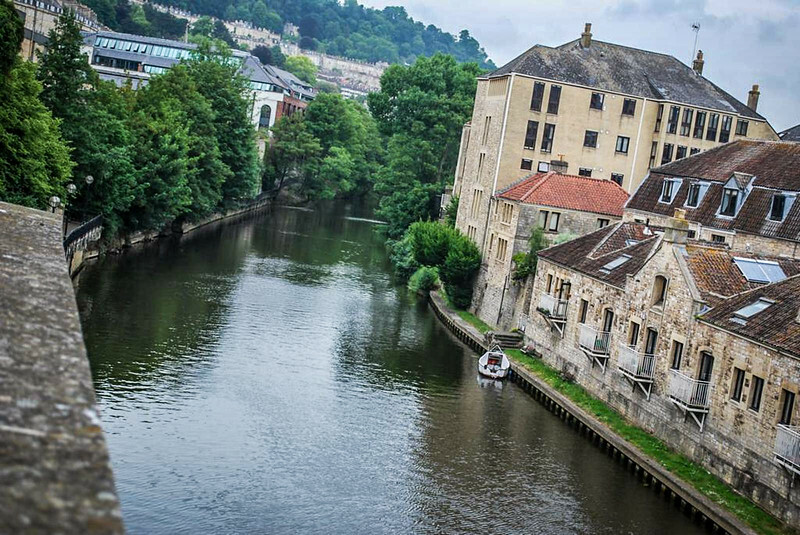 Why not sample some of Bath’s gorgeous rolling hills and winding canal paths by taking a guided walking tour that lasts around 2 hours and covers just over 2 miles of gorgeous scenery! This is a perfect way to learn about Bath’s steeped history along with catching a glimpse of some mainstream attractions such as Jane Austen’s house and the gardens she walked in. If you would like to mingle with other tourists and locals alike, for just £7.50 each you can take a guided tour around Bath. 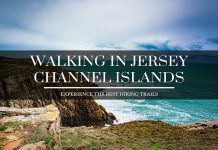 However, if you would prefer to be taken on a privately guided tour, that option is also available for a slightly higher cost. 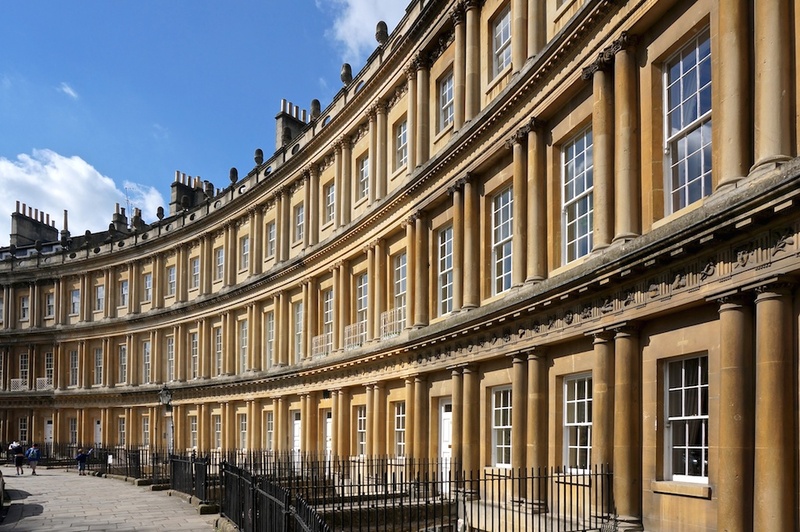 The Royal Crescent is a row of 30 terraced houses designed in the shape of a crescent and constructed in the mid-18th Century. Undoubtedly one of the most famous piece of Georgian architecture, this is a sight to behold and is certainly worth taking the time to at least see this spectacular design from the outside. Number 1 Royal Crescent is a museum open to the public and owned/maintained by the Bath Preservation Trust. This is a great way to learn about Georgian heritage and the rooms inside the museum have been preserved and in some cases transformed to relay a direct correlation with Georgian living in the 18th Century. Another of the terraced houses has been transformed into a hotel which is one of the more lucrative establishments in the Bath region. If you want to be treated like royalty whilst visiting Bath, I would highly recommend checking out The Royal Crescent Hotel. 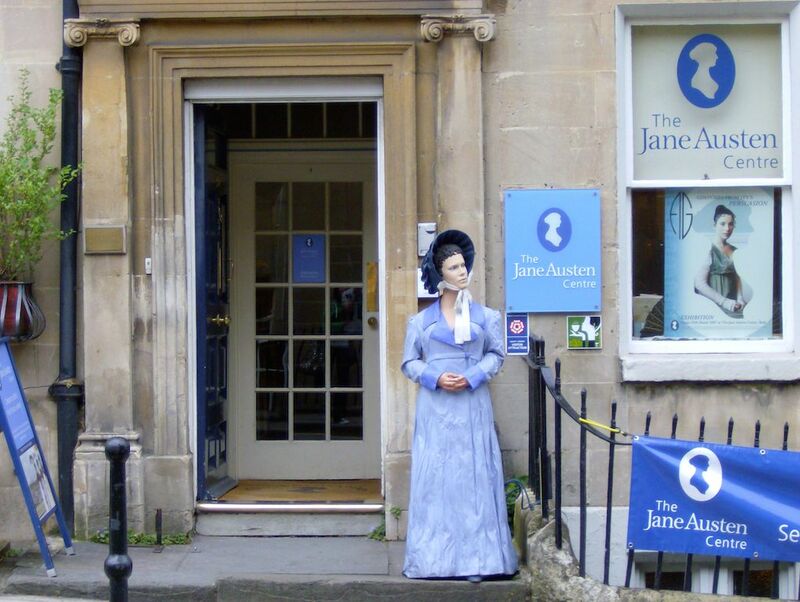 The Jane Austen Centre is located in the heart of Bath and is a permanent exhibition where you can learn about one of England’s finest authors. It’s a great way for visitors of all ages to learn more about Austen’s life in Bath during the early part of the 19th Century, and how this part of England really had an impact on her writing style. A favourite aspect for many visiting the Jane Austen Centre is the hands-on dressing up activities that allow visitors the opportunity to get fitted out with regalia from Austen’s era. It’s a great way to have some fun filled action whilst at the same time learn about the cultural differences between now and then. Admission prices are just £8.00 for adults and discounted rates for seniors and children. 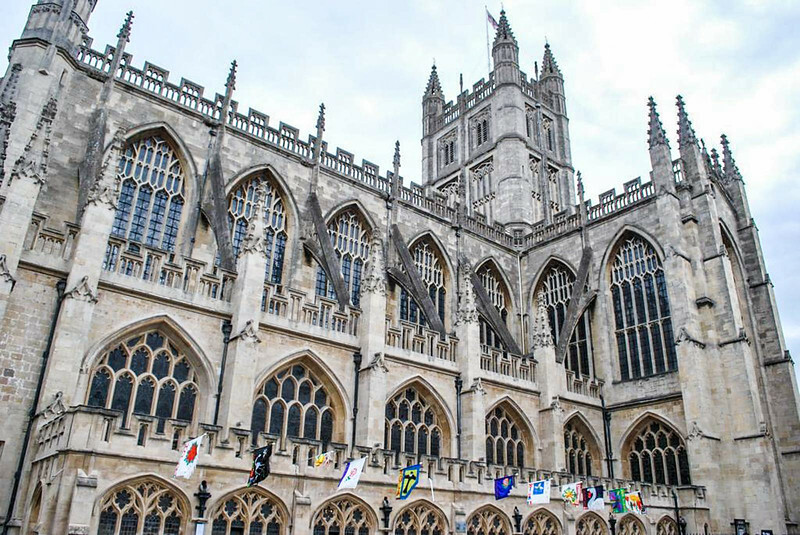 If none of the previous reasons are inspiration for you to visit bath, you could always just marvel at the stunning architectural design of Bath Abbey whilst wandering around the downtown streets of Bath and along the banks of the River Avon. The Abbey Church of Saint Peter and Saint Paul, commonly known as Bath Abbey, dates back to the 7th Century so clearly this is part of Bath that is filled with an abundance of history. Today, this is still a fully functioning place of worship and both tourists and locals alike are welcome to visit here at any time during visitor opening hours. Even though we didn’t go inside the Abbey, just standing outside and looking in awe at this magnificent design was worthy enough of our time! I keep reading about Bath and would love to go someday. When we do get around to visiting England, we will surely stop here! love your pics! Bath is one of the cities that I always wanted to visit someday. Although the entire England fascinates me, London and Bath are a couple of cities that seems to be sophistication personified. Bath looks like the perfect little medieval town! I was recently in London for my 1st time but didn’t get to get out of it. Next time I would definitely want to stay for longer and add a visit to here! I think youv’e covered the key places of interest here, Chris. I would also recommend a visit to Prior Park Landscape Garden, looked after by the National Trust, or really any of Bath’s picturesque parks and gardens (eg. Royal Victoria Park or Parade Gardens). It looks lovely! I can’t believe I’ve lived in Yorkshire and missed it! I really have got to change that and give it a go! The Abbey is gorgeous, that English architecture is one of my favourite! This is coming exactly at the right time! I’m off to Bristol tomorrow and from there I’m going to Bath for my graduation ceremony, which will be in Bath Abbey! I’ve done a long-distance MA with Bath Spa Uni last year, and it will be great to visit the city where my Uni’s at, even though I’ve never lived there! Beautiful! The coolest thing is just how old the place is I think! Did you get into the pools? Do most people go in the baths or opt for the walking tour? Very pretty. It is one of the cities featured on Rick Steve’s best of Europe guide 2009. A bit outdated but the places themselves don’t change much. Since reading about it I’ve been curious about Bath. I love Bath! I went a few years ago with a big group trip but I’d love to go back to have more time to explore. We didn’t get to go into the abbey either, though it looks great. The Jane Austen Center looks like a lot of fun too. Bath is an area I certainly want to explore and a walking tour there sounds perfect. I have not been to UK yet, but when I do Bath will be high on my list, thanks for sharing. After London, Bath is my favourite place in the UK. I’ve been twice and visited all of the places you mention above with the Abbey being my favourite. I did go inside and I can tell you it is stunning. One of the nicest small cathedrals I’ve ever visited. My other favourite place in Bath is Prior Park, just outside of the city centre. It takes a bit more effort to get there but well worth it to see one of the last original Palladian Bridges in the world. We went to Bath last year and thought it was beautiful. The Baths are done brilliantly, aren’t they (though they taste horrible! ), but we particularly loved the Sally Lunn tea house with its fabulous buns!! Jess wrote about it on our blog too. I have never been to England but sure would like to some day. The pictures look amazing! Wow, you totally convinced me! We have good friends in England we are planning a trip over to visit, Bath is now on my must-see list. Gorgeous!! Beautiful pictures. I love Bath such a beautiful city! Did you manage to go to any of the Bath Spas while visiting? I’ve never been to Bath, but I’d love to it. I’ve been to a decent bit of England, yet there keeps being places I’ve never been to. One day! We went to Bath several years ago. I’m a big fan of Jane Austen, and it felt like I was in the movie Pride and Prejudice in some of the areas in town. I’ve visited Bath and found it absolutely charming! From the Georgian style arcchitecture to the centuries of history it was one of my favorite stops in England. I love thermal baths and the view from the rooftop of the Spa Thermae can’t be beat! I’m sold! It’s looks like a beautiful city! 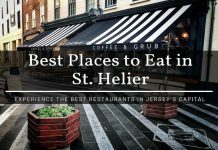 I will definitely add it to the list of places to visit next time I’m in the area. You definitely won’t regret it Amy!! I will echo your comment that it truly is a breathtaking, beautiful English city! We had a conference in Munster, and had a few days in London. We decided to travel to Bath & Stonehenge, and lets just say we were watching Pride & Prejudice shortly after that – Bath is beautiful, especially on a sunny day, when all of that sandstone shines in the sun. 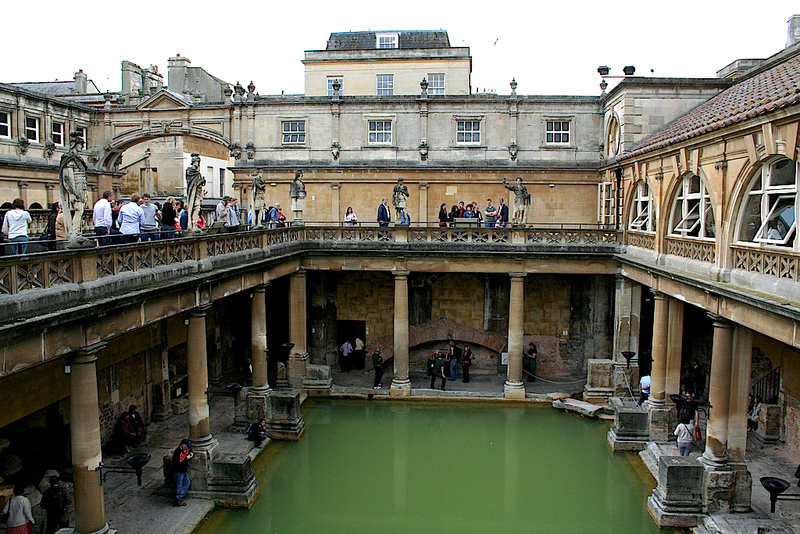 The Roman Baths are a must – especially if you are an enthusiast of the Classics. You hit the nail on the head there Milosz when you speak about the Classics! Whenever we were wandering around Bath, that’s all I could think about was a stereotypical setting in a Dickens novel or other archaic literature piece. There are so many of these towns/cities around England that still give you that feeling just because of how well preserved they are. As you already know, I love Bath! It’s only a short train journey away from where I live! Love it sooo much there. This is actually a great place of inspiration for architectural designs. The buildings even the bridges embodies the classic look and culture of the city. If I visit this place, I’ll make sure to take a closer look at the details of the building.